Custom Vega Darts L1c Signature Flights produced by L-style. 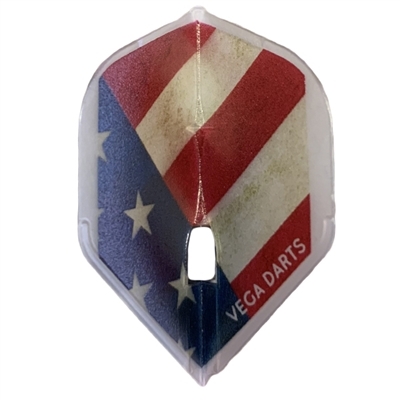 They are clear white flights witha vintage-toned American flag. Limited production print.